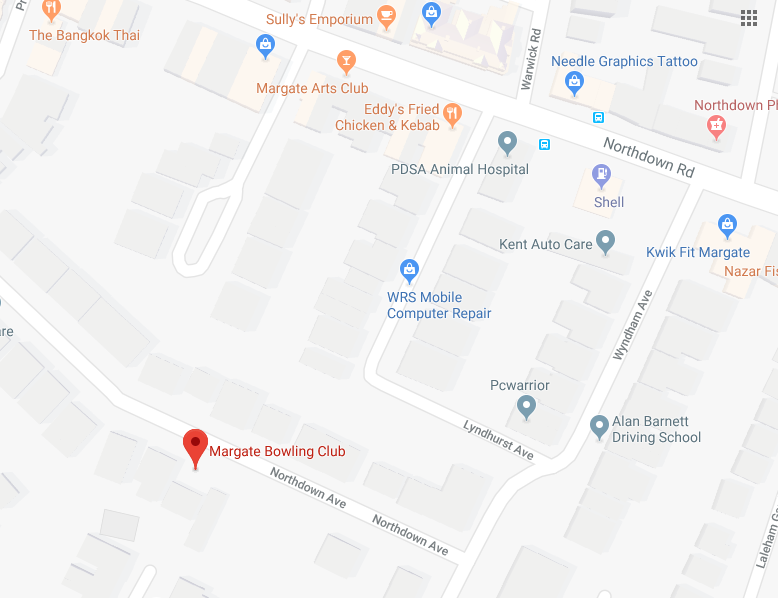 Margate Bowling Club has been based at Cliftonville’s Northdown Avenue for over 95 years. You might be wondering why we're in Cliftonville and not Margate proper; the reason for this goes back over four centuries to when there actually was a bowling green right in the heart of Margate, in what is now known as the Old Town. The green was moved to Zion Place in the early 19th century, and then to Hartsdown Road in the mid 1800s until it ended up at its present location in 1922. The Club is in a quiet residential street behind a tall hedge. As a result, people often miss it – even residents of the area have been known to say that they didn't even know there was a bowling club here. However, it does also mean that members and visitors can enjoy a pleasant game of bowls with less interference from the wind or noisy spectators/passers by! Our membership fee for the season (May – September) is £100. But if you’re new to the Club, you’ll get the first two months’ membership free so you’ll only pay £60 in the first year, or less if you join later in the season. We also have sets of woods that you can practise with, so you’ll get the chance to decide whether bowls is for you before having to buy any equipment. We don’t just do bowling at the Club – we hold regular quiz nights throughout the year, and the clubhouse is available for hire as a venue for meetings (contact our chair/treasurer Geoff on 07711 611720 or our secretary Miriam on 07871 461067).